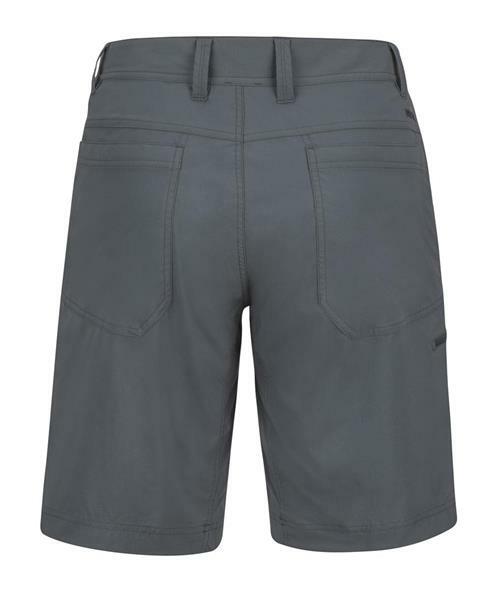 Synthetic but modern; this technical hiking short is built with abrasion-resistant nylon that wicks and quickly dries. Stretch and a gusseted crotch allow unencumbered movement. Rated with maximum sun protection and coated with a water-repelling finish, the Arch Rock has two hand pockets, two back pockets and a zippered side pocket.